For other people named Alan Bates, see Alan Bates (disambiguation). Sir Alan Arthur Bates, CBE (17 February 1934 – 27 December 2003) was an English actor who came to prominence in the 1960s, when he appeared in films ranging from the popular children's story Whistle Down the Wind to the "kitchen sink" drama A Kind of Loving. Bates went on to star in The Go-Between, An Unmarried Woman, Nijinsky and in The Rose with Bette Midler, as well as many television dramas, including The Mayor of Casterbridge, Harold Pinter's The Collection, A Voyage Round My Father, An Englishman Abroad (as Guy Burgess) and Pack of Lies. He also appeared on the stage, notably in the plays of Simon Gray, such as Butley and Otherwise Engaged. Bates was born at the Queen Mary Nursing Home, Darley Abbey, Derby, England, on 17 February 1934, the eldest of three sons of Florence Mary (née Wheatcroft), a housewife and a pianist, and Harold Arthur Bates, an insurance broker and a cellist. They lived in Allestree, Derby, at the time of Bates' birth, but briefly moved to Mickleover before returning to Allestree. Both parents were amateur musicians who encouraged Bates to pursue music. However, by the age of 11, having decided to become an actor, he studied drama instead. He further developed his vocation by attending productions at Derby's Little Theatre. 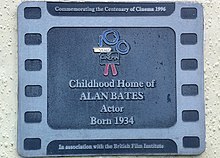 Bates was educated at the Herbert Strutt Grammar School, Derby Road, Belper, Derbyshire (now "Strutts", a volunteer led business and community centre) and later gained a scholarship to the Royal Academy of Dramatic Art in London, where he studied with Albert Finney and Peter O'Toole, before leaving to join the RAF for National Service at RAF Newton. Bates's stage debut was in 1955, in You and Your Wife, in Coventry. In 1956 he made his West End debut as Cliff in Look Back in Anger, a role he had originated at the Royal Court and which made him a star. He also played the role on television (for the ITV Playhouse) and on Broadway. In the late 1950s Bates appeared in several plays for television in Britain and in 1960 appeared as Giorgio in the final episode of The Four Just Men (TV series) entitled Treviso Dam. Also in 1960 he appeared in The Entertainer opposite Laurence Olivier, his first film role. Bates worked for the Padded Wagon Moving Company in the early 1960s while acting at the Circle in the Square Theatre in New York City. Throughout the 1960s he starred in several major films including Whistle Down the Wind (1961), A Kind of Loving (1962), Zorba the Greek (1964), Philippe de Broca's King of Hearts (1966), Georgy Girl (1966), Far From the Madding Crowd (1967) and the Bernard Malamud film The Fixer (1968), which earned him an Academy Award nomination for Best Actor. In 1969 he starred in Women in Love. Film critics cited the 1963 film noir, The Running Man, as being one of Alan Bates' finest performances. The film starred Laurence Harvey, Lee Remick and Bates in the supporting role of Stephen Maddox, an insurance company investigator who encounters Harvey and Remick in Spain after Harvey successfully faked his death in an airplane crash to cash in on a life insurance policy, leaving wife Lee Remick a small fortune. Fans of film noir enjoyed the many intriguing twists and turns The Running Man offered. The film also offered movie fans a depth of character study worthy of a memorable film noir. Bates' character worked well with Harvey and Remick, helping director Carol Reed craft an ever-guessing, suspenseful story of cat and mouse detective work that moved seamlessly from beginning to end. While many movies in film noir have predictable plots, The Running Man featured a plot that was unpredictable, which was its best asset. The film's finale saw Lee Remick standing wearily on a dock, looking at a departing boat with the Rock of Gibraltar looming in the background. Around this time he appeared as Col. Vershinin in the National Theatre's film of Three Sisters, directed by and co-starring Laurence Olivier. He later worked with Olivier for television in the Laurence Olivier Presents version of Harold Pinter's The Collection (1976) and A Voyage Round My Father (1982). Bates starred in such international films as An Unmarried Woman (1978) and Nijinsky (1980), and also played Bette Midler's ruthless business manager in the film The Rose (1979). 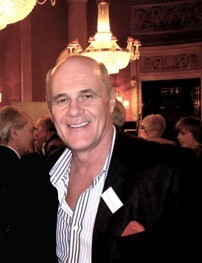 On television, his parts included Michael Henchard, the ultimately-disgraced lead in The Mayor of Casterbridge – which he described as his favourite role – in the serial adaptation by Dennis Potter (1978). He played two diametrically-opposed roles in An Englishman Abroad (1983), as Guy Burgess, a member of the Cambridge spy ring exiled in Moscow, and in Pack of Lies (1987), as a British Secret Service agent tracking several Soviet spies. He continued working in film and television in the 1990s, including the role of Claudius in Mel Gibson's version of Hamlet (1990), though most of his roles in this era were more low-key. In 2001 Bates joined an all-star cast in Robert Altman's critically acclaimed period drama Gosford Park, in which he played the butler Jennings. He later played Antonius Agrippa in the 2004 TV film Spartacus, but died before it premiered. The film was dedicated to his memory and that of writer Howard Fast, who wrote the original novel that inspired the film Spartacus by Stanley Kubrick. On stage Bates had a particular association with the plays of Simon Gray, appearing in Butley, Otherwise Engaged, Stage Struck, Melon, Life Support and Simply Disconnected, as well as the film of Butley and Gray's TV series Unnatural Pursuits. In Otherwise Engaged, his co-star was Ian Charleson, who became a friend, and Bates later contributed a chapter to a 1990 book on his colleague after Charleson's early death. Bates was married to actress Victoria Ward from 1970 until her death in 1992, although they had separated many years earlier. They had twin sons, born in November 1970, the actors Benedick Bates and Tristan Bates. Tristan died following an asthma attack in Tokyo in 1990. Bates had numerous homosexual relationships, including those with actor Nickolas Grace and Olympic skater John Curry. Even after homosexuality was partially decriminalised in Britain in 1967, Bates rigorously avoided interviews and questions about his personal life, and even denied to his male lovers that there was a homosexual component in his nature. 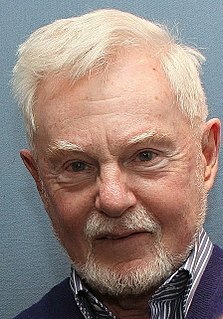 While throughout his life Bates sought to be regarded as a ladies' man or at least as a man who, as an actor, could appear attractive to and attracted by women, he also chose many roles with an aspect of homosexuality or bisexuality, including the role of Rupert in the 1969 film Women in Love and the role of Frank in the 1988 film We Think the World of You. Bates died of pancreatic cancer in December 2003 after going into a coma. He is buried at All Saints' Church, Bradbourne. The posthumous publication of Donald Spoto's 2007 book, Otherwise Engaged: The Life of Alan Bates, is the only authorised biography of Alan Bates. It was written with the full and complete cooperation of his son Benedick, and includes more than one hundred interviews with people such as Michael Linnit and Rosalind Chatto. Bates and his family created the Tristan Bates Theatre at the Actors' Centre in Covent Garden, in memory of his son Tristan who died at the age of 19. Tristan's twin brother, Benedick, is a vice-director. ^ "Alan Bates Biography". filmreference.com. Archived from the original on 29 September 2007. Retrieved 15 September 2007. ^ Karen Rappaport. "Alan Bates Biography". The Alan Bates Archive. Archived from the original on 20 April 2008. Retrieved 11 April 2008. ^ "Alan Bates Archive Feature: Timeline I, 1954-69". Archived from the original on 19 May 2011. ^ "Three Sisters (1970)". IMDb. 2 March 1973. ^ Ian McKellen, Alan Bates, Hugh Hudson, et al. For Ian Charleson: A Tribute. London: Constable and Company, 1990. pp. 1–5. 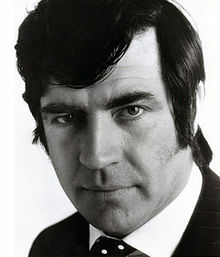 ^ "BBC - Derby - Around Derby - Famous Derby - Sir Alan Bates biography". ^ Lewis, Roger (28 June 2007). "The Minute They Got Close, He Ran". Daily Telegraph. London. Retrieved 12 April 2019. ^ a b c Spoto, Donald (19 May 2007). "Alan Bates's Secret Gay Affair with Ice Skater John Curry". Daily Mail. London. Retrieved 15 September 2007. ^ Albany Trust Homosexual Law Reform Society (1984). "GB 0097 HCA/Albany Trust". AIM25. British Library of Political and Economic Science. Retrieved 10 April 2008. ^ "Downton Abbey creator Julian Fellowes leads tributes to Angharad Rees". The Daily Telegraph. London. 28 September 2012. ^ Wilson, Scott. Resting Places: The Burial Sites of More Than 14,000 Famous Persons, 3d ed. : 2 (Kindle Location 2864). McFarland & Company, Inc., Publishers. Kindle Edition. ^ Spoto, Donald (2007). Otherwise Engaged: The Life of Alan Bates. London: Hutchinson. ISBN 978-0-09-179735-5. ^ Michael Billington (29 December 2003). "Sir Alan Bates". The Guardian. London. Archived from the original on 14 November 2007. Retrieved 4 November 2007. ^ "About Tristan Bates Theatre". Tristan Bates Theatre. Archived from the original on 8 January 2007. Retrieved 8 November 2007. Ian Charleson was a Scottish stage and film actor. He is best known internationally for his starring role as Olympic athlete and missionary Eric Liddell, in the Oscar-winning 1981 film Chariots of Fire. He is also well known for his portrayal of Rev. Charlie Andrews in the 1982 Oscar-winning film Gandhi. David Rintoul is a Scottish stage and television actor. Rintoul was born in Aberdeen, Scotland. He studied at the University of Edinburgh, and won a scholarship to study at the Royal Academy of Dramatic Art in London. Jack Andrew Lowden is a British actor. He studied acting at the Royal Scottish Academy of Music and Drama and began his acting career with the National Theatre of Scotland's production of Black Watch (2010–2011). He won the Laurence Olivier Award for Best Actor in a Supporting Role and the Ian Charleson Award for his role as Oswald in Richard Eyre's 2013 adaptation of Henrik Ibsen's play Ghosts.